The Force is with you. 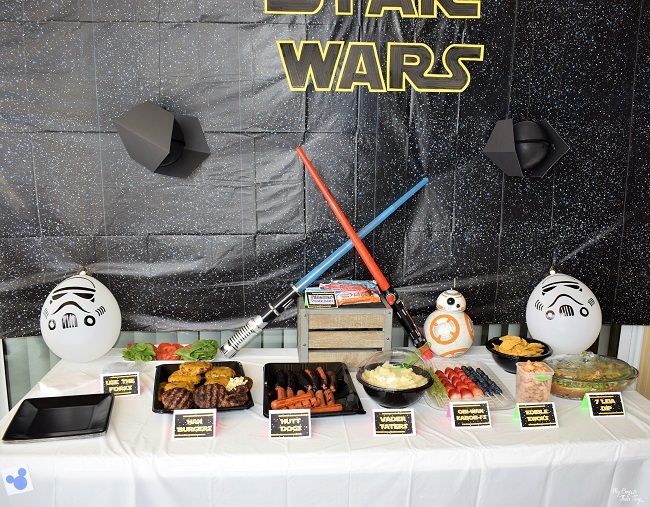 Don’t feel overwhelmed when planning your Star Wars party. These simple ideas will help you pull off the coolest party, ever! Grab a Padawan Power Bar, and get to work. 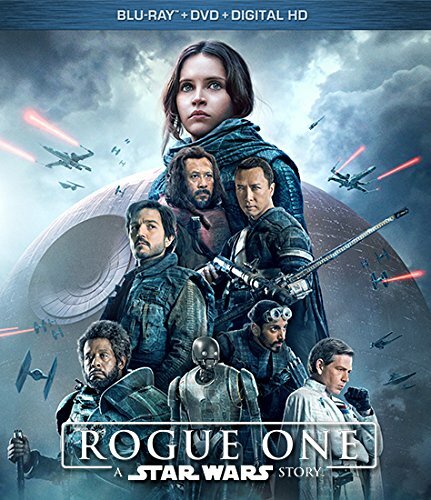 To make the awesome Star Wars backdrop, use the yellow poster board to trace “Star Wars” lettering, cut out and color in the letters with black permanent marker. Once dry, attach the lettering with scotch tape to the Space Blast plastic table cover. To make the DIY Balloon Tie Fighters, you’ll need 4 black pipe cleaners, 1 black balloon, 2 pieces of black card stock and tape. I found simple instructions for the DIY craft here. 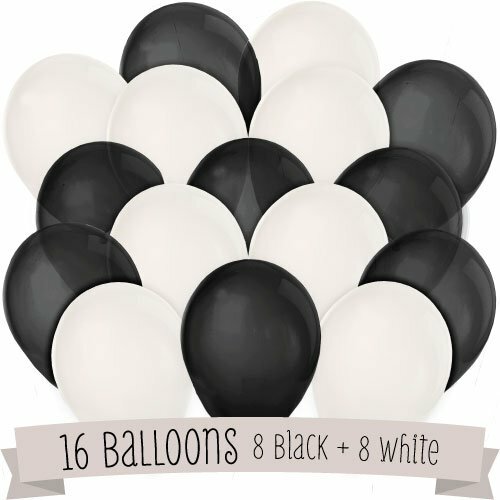 To make the Stormtrooper balloons, you’ll need white balloons and black permanent marker. My friend’s husband works for Disney and has an eye for art, so he drew the faces by hand. Yes, freehand people! You can attempt this too, or try this stencil possibly to help out. I recommend completing these three party decorations a day or two before the party. 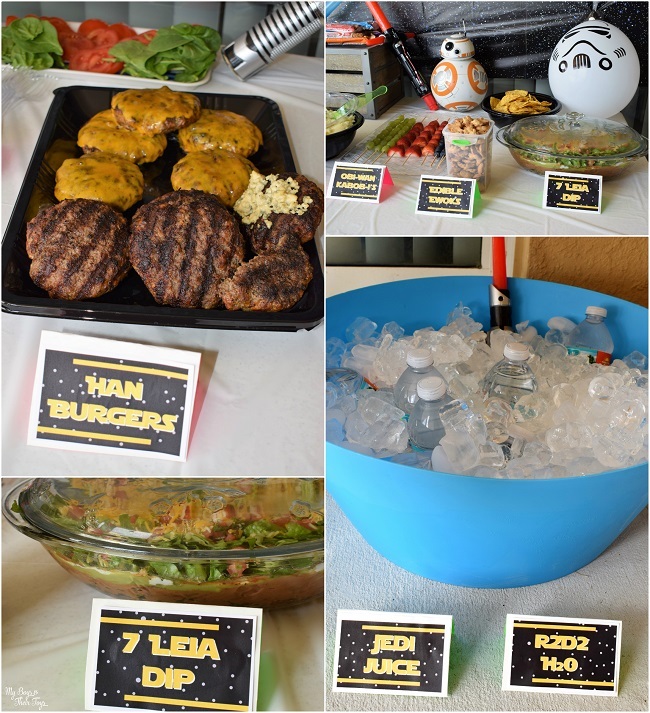 Print out these adorable FREE Star Wars food printables to use on your tablescape. 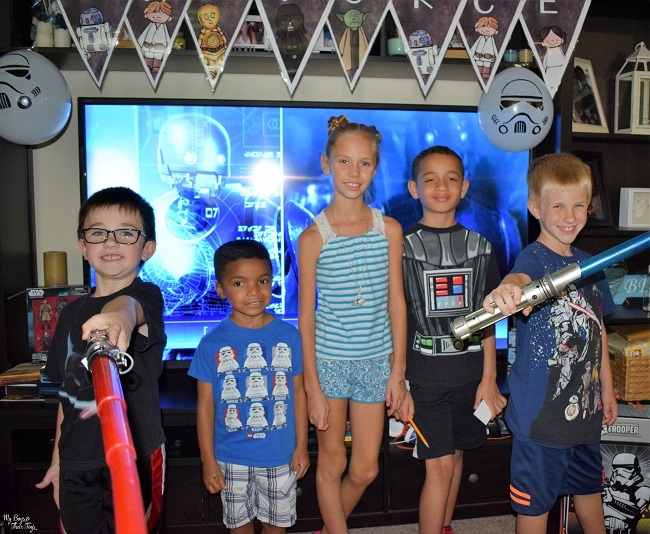 Decorate your table with lightsabers and other fun Star Wars toys to complete the look. 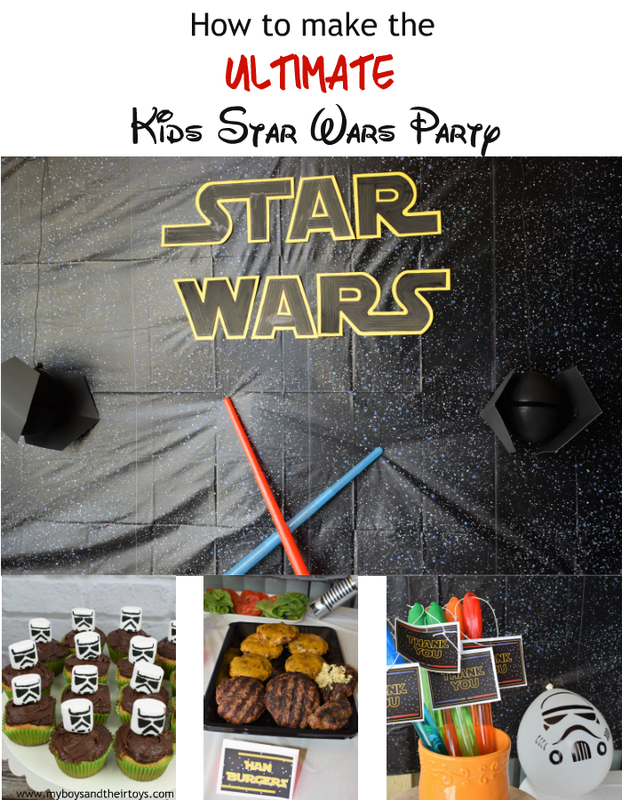 Even more Kids Star Wars Party Ideas! 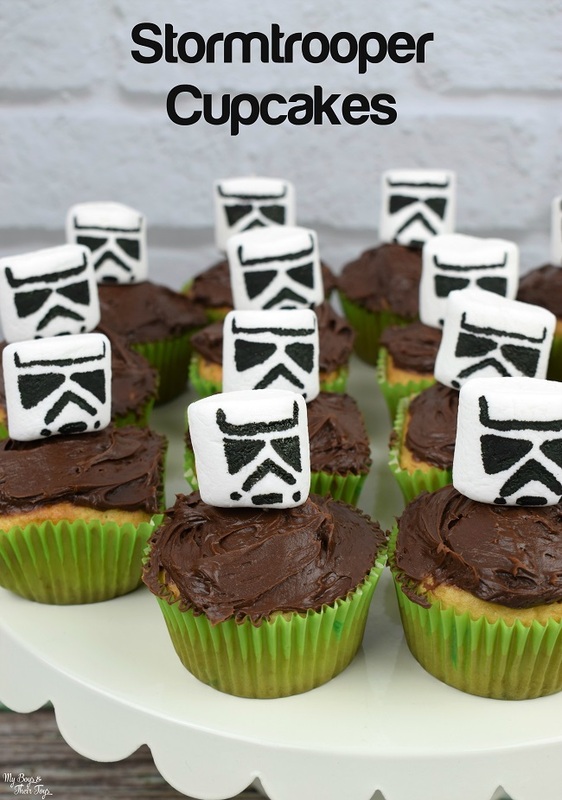 Using edible food coloring markers, draw Stormtrooper faces on marshmallows to pull off these showstopper cupcakes! They will be the talk of the party! I used toothpicks to hold them in place. A lightsaber battle is a must for the young Jedi’s! 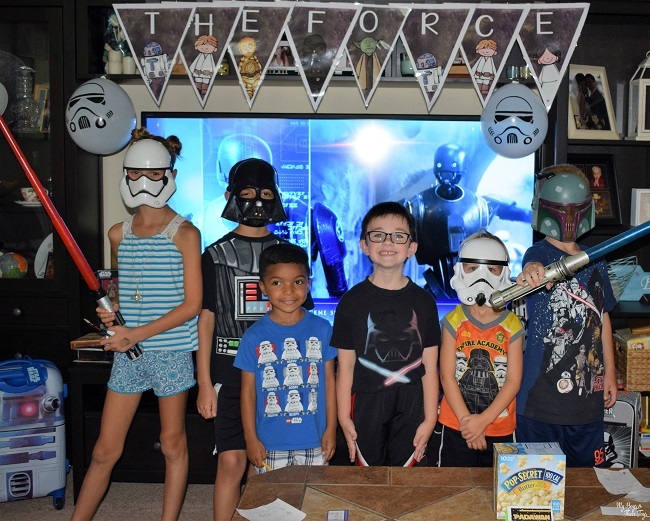 We also watched the latest Star Wars movie; Rogue One while everyone enjoyed their themed party food. End the event with a Hidden Mickey Hunt game. It’s a favorite at the Walt Disney parks, and really easy to do at home too. Simply find printable mickey mouse heads, cut out and hide around the party space. 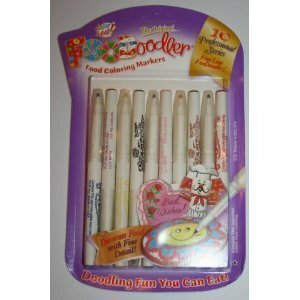 Give the kids pencil and paper and tell them how many hidden Mickey’s they need to locate. The child that finds all the hidden Mickey’s first wins a prize! We gave away a Disney Pillow Pet. 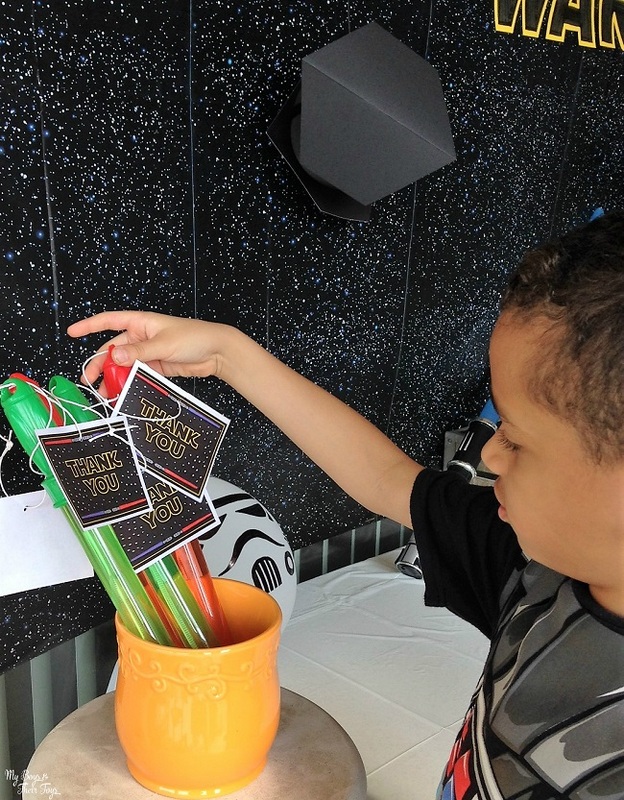 Find bubble wands at your local dollar store, then print out these FREE Star Wars Thank You Printables. 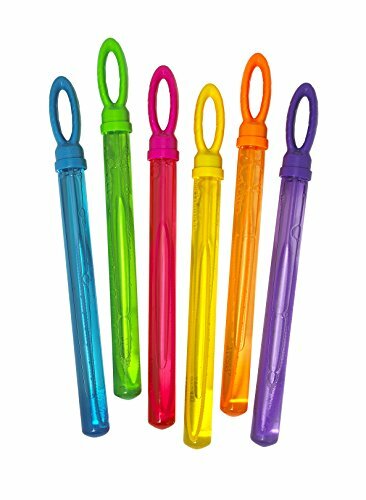 Using string, attach the thank you notes to the bubble wands lightsabers. Other easy party favors include Star Wars coloring books, stickers, and gummy snacks. Adult party favors included Premier Protein shakes and bars and HP Social Media Snapshots, so parents can print their favorite party pics on 4×5 re-stickable prints. 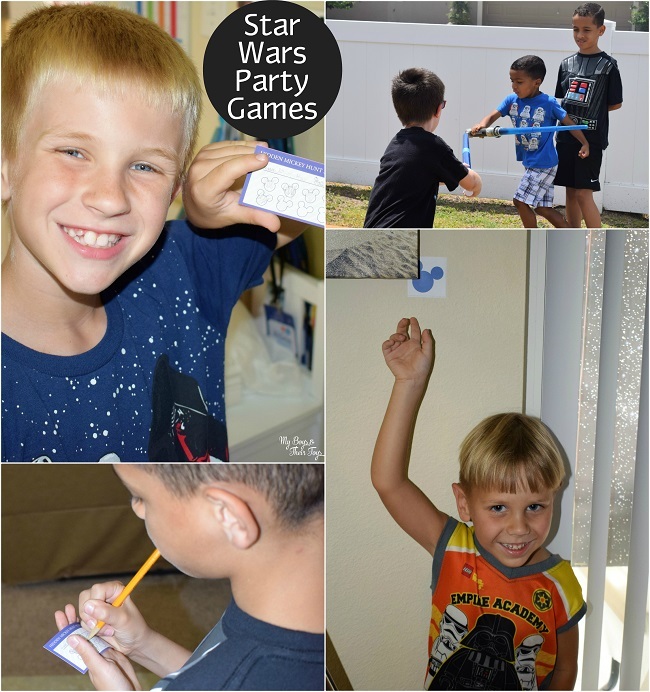 We hope you enjoyed these Kids Star Wars Party Ideas! The Force is strong with this one. A big thanks to Disney sponsors American Tourister, PopSecret, Softsoap, Pillow Pets, and HP My Printly. It looks like they had a great party! So many cool ideas too! Such good ideas for a party. What a super fun party. You had some really great ideas!